For my portfolio class we had to make a Christmas card that involved the type of illustration work we want to work in, so I chose a paleoart themed Christmas card. 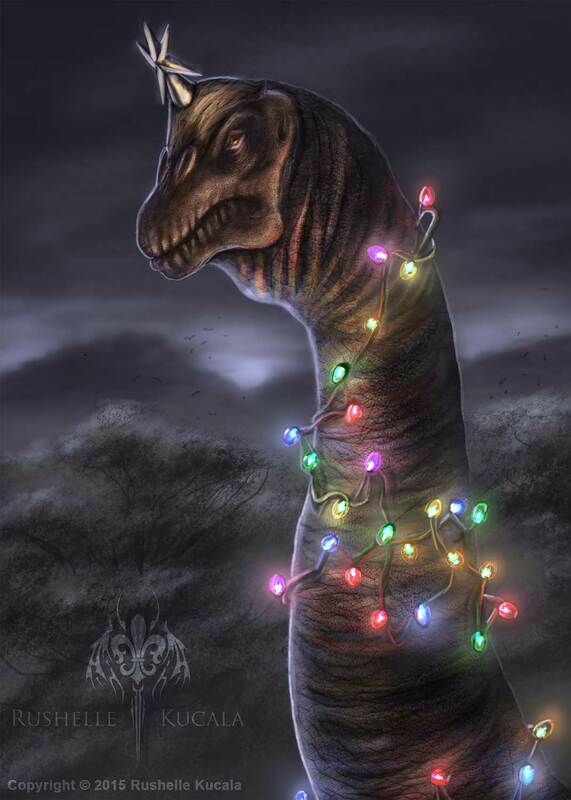 It's a brachiosaurus tree! I'm totally mailing these out around Christmas time.